This is a very easy salad that can be served at room temperature. 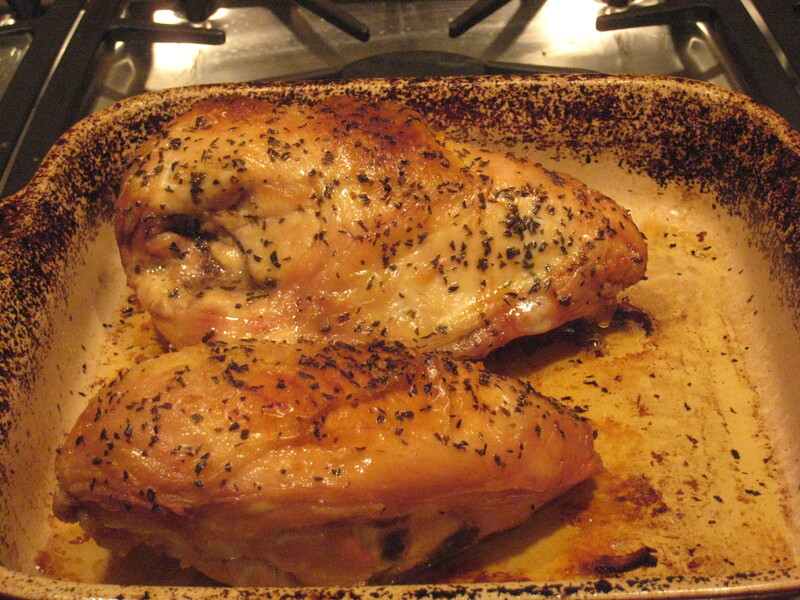 Add olive oil to pan and brush on chicken. Then add basil on top. Roast 40 minutes uncovered. If it is not done, cover and remove from heat until cooked through. It should look something like this. While it is resting prepare the salad. Combine greens, persimmons and walnuts. 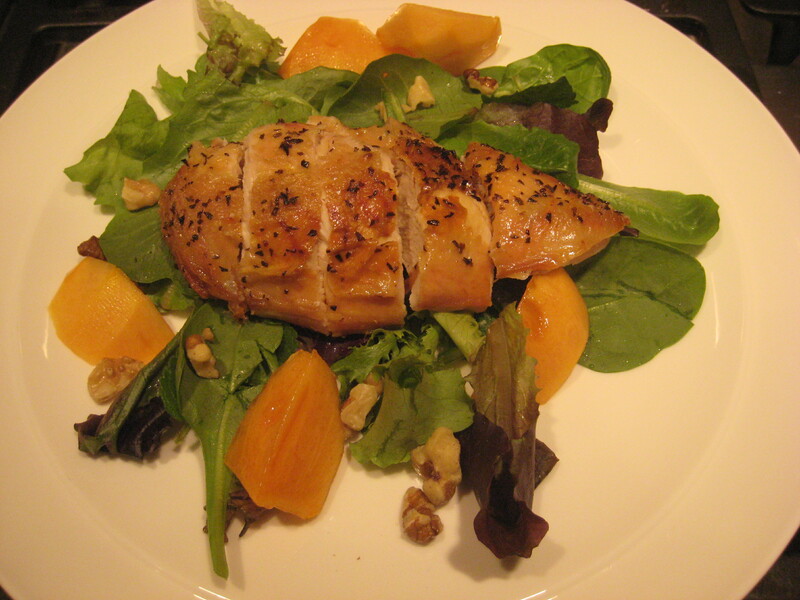 Slice chicken and arrange on top (no pressure when I say “arrange”). Works well with light, creamy dressing with (ahem) notes of fruit. Notes: Freeze bones for future chicken stock. Save the drippings to cook greens.